I held back on a report in February because there were a lot of other things going on with the Brotherhood. In this report, I will talk about the first set of competitions run for the Collective Chronicles, outline my 2018 projects for the Voice Staff, and answer some questions that came up during an #AskTheVoice session in Fiction Chat. Follow me, if you would like to know da wey. Last month, I put out a call for a new Magistrate. I was shocked to receive roughly 15 applications, and made a point of responding to each applicant to offer insight into my decisions for who I ultimately picked. I’m pleased to have Maruo Wynter join the Voice team as our new Magistrate. He has been cleared for Character Sheet and competition queue work after completing his training and shadowing with the rest of the team. For anyone that I spoke to on the side, or that applied and feels down, please make sure to check out my Project section below to see what I am going to need help with. For anyone that has been living under a rock, Grand Master Pravus has ended his second stint as GM. He was awarded his second Golden Lightsaber, but I wanted to also quickly thank him as someone who has worked with him since before he was Grand Master, back all the way when he returned to the Dark Council as Voice. Sarin has been at the head of a lot of unpopular but necessary decisions for the club's fictional direction. Each step of the way, every argument we’ve had, I’ve always been given a reason or explanation for why we have done these things. In the end, he always kept his vision forward, eyes locked on the future, on improving the club in the areas that he saw it lacking. For that, I am eternally grateful, and hope to rise to his level as a leader in this organization and to some day match his dedication to the club. Vyr was made DGM. This means we need a new Herald. I offered my services, but apparently my genius in art stick figures go underappreciated. There is also an opening for a Social Media Tribune. Do the things. Atra has released a report in which he debuts our new Armor System. I won’t steal his thunder, but I just wanted to say that I really dig this system and appreciate all the legwork that went into it. Atra superhero’d a lot of the admin that needed to be done, and it’s not something you’ll ever really see, so I’m calling it out even though he hates the spotlight. Thanks, Atra. GJWXII fiction was concluded with the Chapter 6: Finale. Sarin is still working on a fiction that he wanted to put out to help with the epilogue of that story. It will be out when it’s ready, and in the meantime, please feel free to ask Mav and I questions if you’re curious about what is going on. Thanks for your continued understanding. In the interest of not boring people with this section, I’m going to share the Google Sheet I’m using to track all relevant Voice Projects. Some of these are things my staff and I are working on, and some are things I’m working with other DCers on. That said, I encourage anyone that applied for Magistrate previously or that is still interested in helping out to reach out to me if they see a project they are interested in, especially in any section where you see “Volunteer work”. As an example of some freelance task work, Beef went ahead and created summaries of the different chapters of the Great Jedi War XII. Check them out here. Thanks again for the help here, Beef! Grot also came through big for me with some smaller tasks involving coalescing #AskTheVoice questions into a document for me, rounding up currently running fiction comps that are DB-wide, and some assistance with the Collective Wiki. He also helped — along with Arch, Drae’lath, and Mark — to proof over my shoulder on some of my admin work. I like sharing what I work on with membership, and try to maintain as much transparency as I can. That said, there are certain things that I only discuss or work on with the DC, but I’m always excited for opportunities to share my workflows or process with membership. The Collective Faction page has grown thanks to the entries we recieved from the first part of The Collective Chronicles. I want to thank all of you for your submissions, but I also want everyone to join me in thanking my staff. Atty and TuQ did the monumental task of converting the entries into NPC sheets. This takes some deft admin work, because not only are there steps that are required in that process administratively through the site, but they also had to work to make sure that members' entries were in line with our approval guidelines in terms of Physical Descriptions and Aspects. If you are curious about something, think something looks off, or have questions, just let me know. Check out the top 5 NPCs from each sub-competition. 1st Place — Saiy’incee’Pirsn "Yin"
I’ll also be going through and picking out Custom Aspects that I think would work as pre-written ones. Great work to everyone who put the effort in, and I’m really excited with everything that I’ve been seeing. You can see all the created NPCs here on the Collective Faction page. You can see the current standing on overall points scored here. With the influx of information we’ve gained since its original creation, I’ve gone ahead and split each of the sub-factions into their own respective wiki page. This is very exciting to me, because The Collective wiki has grown so much since we first introduced them. As a co-creator, this is one of those rare joys I am glad I get to share with the rest of the club. Expect a follow up newspost to this report with more details on the results of the first four competitions. I will also have the fiction I promised featuring the winning NPCs that were created. I will say that I was so pleased with the turnout of entries, and hope we can continue this same interest and momentum into the next few competitions. CC: Origin Stories — A fiction competition where you pick one of the new (or old) Collective NPCs and write a story about where they come from and how they join up with The Collective. CC: Collective Report — A unique kind of competition where you create a data-like report on the Collective sub-factions. You are tasked with flushing out their culture, organizational structure, history, and other fun world building information that can bolster the Collective Wiki. Speaking of questions. I don’t do these very often, but I figured I’d run one while procrastinating waiting on tackling this report. Considering the sheer scope and magnitude of our current antagonist, the Collective, it is clear that there are numerous avenues for plot development Clans can take. My question is, do you think it would be a good idea to collect all current Clan storylines into a single (online) document accessible to all Consuls and DC members? This would be so that you can provide direct feedback and suggestions, while at the same time allowing other leaders to have a consistent grasp of ongoing, concurrent storylines from other autonomous units. Though impartial and directly involved with all things fictionally developed, do you have a favourite part of The Collective over some others? If yes, which and why? Or if not, why? Are we going to see any more writing-type specific competitions in the future (ie. the Dialogue series)? 1 — We have a Fiction Archive. Consuls are able to upload their Clan stories there. There is also a Google Drive folder for it. This is also being discussed at the leadership level to see how we can do this in the future to display and organize this information best. As Mav and I have explained to the Dark Summit mostly, the DC is responsible for the main storyline and plot of the DB. Clan stories are given a lot of freedom to pursue their unit and sub unit storylines. I don't want to bog down the Fiction Center wiki page with each Clan's storylines (it's too much for any team to really track on) but I'd not be against each Clan organizing their own "Clan Storyline" page that could be linked to with timelines/links to fiction. Just keep in mind that no matter what we do, the majority of members/leaders outside the DC-level don't read other units' work. I'd like to pretend otherwise, but I've been around too long. In terms of feedback, I provide it when asked, usually. I don't like to micromanage, but am always happy (and have/will continue to communicate this with the Dark Summit) to work with Clan leadership to assist with integrating with the DB's main plotlines. 2 — I like the Collective because while it wasn't my idea, I got to help build it. It's like being given a brand new house, and then told you have an unlimited credit card and can buy whatever furniture and decor you want to deck it out. It was a lot, though. My hope with the Collective Chronicles and other similar competitions is to continue to give members the opportunity to add to the Collective, because I think this will make them (and future antagonist/rival factions) feel more real and connectable. 3 — If enough people express interest, sure. They're not hard to grade and run, but I felt like I was pulling teeth/nagging people to submit entries. If there is interest, I'll run it, though. Sound in the comments if you want to see more dialogue comps! Is there anything you can share about the direction of the Inq moving forward? How sad/excited are you about the finale of Rebels? Do you think we'll get a Resistance version of Rebels? I heard something about Disney filing for trademarks under Resistance but don't want to get my hopes up. 1 — My vision starts with making the Inquisitorius not just the GM's personal killsquad. That's what the name implies re: the Empire and SW Rebels, but it's not how I've always envisioned it. I want to refine this by making some updates to the Society to make it function more as the Brotherhood's intelligence/assassin network. Their focus is on identifying and eliminating threats to the Brotherhood. By being a part of this society, they gain access to unique perks, items, and eventually I want to set up “safehouse” bunkers and shops around the galaxy. To do this, I've asked Evant to give us Imperial Listener ships that I’m re-purposing. These ships help create the "Advanced Intelligence Network" that gives us a way to have encrypted transmissions around the galaxy for agents of the Brotherhood. We saw them first on display in the GJW fiction, but expect more info as Evant and I solidify the DC faction and fleet. It will also give us some more use with Arx being the centerpoint of the Brotherhood's power by storing and backing up all the data there, ala Scarif in Rogue One. 2 — I'm sad it's coming to an end, but really positive and happy about it. Dave Feloni didn't get to end TCW on his own terms thanks to the network. It took years to finish it properly with the "unaired" episodes, the final season. It's some of the best Star Wars world building to date, honestly. I'm upset that he never got to realize the scene he storyboarded and shared at SWC with Bane facing down young Boba in a western duel. I'm happy that Feloni gets to end the show HE created HIS way. It might not be what fans or everyone wants, but I am glad that in what might be his last really personal work, he gets to finish it how he wants. He's now moving on to lead the entire animation and storytelling ventures for LSG, so I'm excited with that comes next. Turel asks: How open are you to doing another direct collaboration with unit leaders on a db-wide update like you did with the "seven-strands" update? As much as that aged me a few years, I'm always open minded to things like that. It's up to Mav, though, if that is something he wants me to pursue. For anyone that’s curious about this, check out the fiction here on the Fiction Center. Atra asks: Any experience based tips for membership on how to get over the hurdle and create a top placement worthy fiction? Could be merely organizational tips, finding the perfect song, what have you. I actually talked about this on the Plagcast podcast I was on. Off the top of the dome, though: Crafting challenges and obstacles are important. If you roll nat 20's throughout the entire story, it can become very flat very quickly. The top entries I've read or graded have all had a theme of overcoming obstacles or challenges. "My character would never be in that situation, so I can't do this prompt." Bad way to go about anything. Some of the better stories, I think, come from: "What IF my character had to deal with X". Music is personal. Whatever works for you. Studies show that you are more creative and use more of your brain when music or audio is playing while you work. I prefer instrumental or music that I can tune out. Lyrical-heavy music doesn't help me write, as I then get distracted very easily. Time management is important. That goes without saying. There is also the stress level of perfectionism that holds a lot of people back, I think. Writer's block, if you want to call it that. Most of it, in my observations here in the DJB, are related to lack of confidence or fear of judgement by others. Screw that. Open up a doc and start writing. If you win, you win. You lose, you lose. (Don't get me wrong, I hate losing, but it is what it is and you learn from failure). Just write. If it's not perfect, you will either fix it later, or it just isn't what you hoped. It's better than not doing anything at all, though, imo. Have fun and write. TuQ asks: What are your favourite type of competitions to participate in? ACC will always be my favorite activity. I have a hard time keeping up with the concept of Run-On as I’ve gotten older as well. ACC is great because it lets me focus and work on reacting to what another writer feeds me. It allows me to use the Character Sheets and the items I have and really get to test my “build” against another person's “build”. It’s the reason I originally joined the DB—the promise of the ACC. Ironically, I do not like fiction competitions from a competitive standpoint, and just enjoy writing for fun when I participate in them. I also enjoy multimedia, where I’m able to use my BFA in Film/TV for something remotely useful. A Day in the Life of a DJB Secretary! Don’t forget to join us in [Fiction Chat - Log in to view join link] for daily topics and general discussion of characters, our favorite stories, and other general banter about fiction and Star Wars. So, I’ve never been into D&D or any kind of table top. Like, vocally. Even with all the work I’ve done with the CS system and mechanics in the DJB, I’ve never once played a game of D&D or anything other than video game RPGs. A month or so ago, I did a media-trade with a friend of mine who wanted me to listen to this podcast. It’s called The Adventure Zone, which is done by the guys that do My Brother, My Brother, and Me over at Maximum Fun. This podcast is about the three brothers playing D&D with their dad for the first time. I’m going to plug it here because 1.) It’s made me actually want to try tabletop gaming 2.) I relate heavily to the DM as he explains in some out of character episodes how he tries to manage the macro storyline while not over-controlling the micro. I really identified with him here, as it’s how I like to look at the DJB storyline, and 3.) because it’s hilarious. Really, really funny and enjoyable even if you’ve never played D&D before. Very good storytelling too. Check out The Adventure Zone on your preferred podcast application (I use Google Music). And one last thing for Kelly, who still remains my favorite Inquisitor. Alright. That’s all I got. As you were, citizens. You might know him as Mav. He’s okay, I guess. Lots of good stuff in this one, particularly in the Q&A. It's funny that you recommend Adventure Zone - you're the third person this week that I've seen reference it. Just got through the Dust setup yesterday - and agree completely with the points you make. Never D&D'ed before but it now sounds fun. 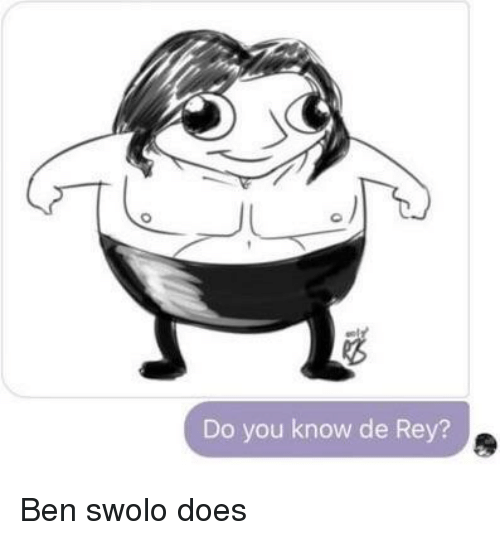 Did you channel Ben Swolo to answer all those questions so we all will know da wey?